Hungrynaki, country’s first and leading premium online food ordering and delivery Service providing company starts its journey from today in Cox’s Bazar city known as the leading tourism city beside world’s longest sea beach. The soft launched has been kicked off from today prior to the official mega launch planned in March 2019. Primarily Hungrynaki food delivery service will be given from 8:00 a.m. to 1:00 a.m. within the area of Cox’s Bazar and UkhiaUpazila. To avail, the service consumers may browse www.hungrynaki.com or download the application form play store (for Android) and AppStore (for apple) and order their favorite foods accordingly. By starting its operation in Cox’s Bazar, now the company that started in 2013 has extended its service operation in five megacities. 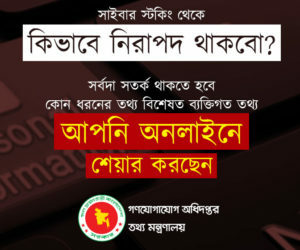 Starting from Dhaka the service of Hungrynaki, the local giant in food delivery service has gradually launched its operation in major cities like Chottogram, Sylhet, and Narayanganj while Cox’s Bazar comes as the latest addition to cater its consumers with a list of wide range of restaurants along with innovative and fastest delivery commitment. Hungrynaki has started incorporating most popular restaurants for the consumers of Cox’s Bazar while more than 1500 restaurants are also being operational in the rest four megacities. They plan to cross 2500 major premium restaurants in 2019 keeping in mind the increasing service leverage for its consumers so that consumers have the ultimate liberty to order a variety of foods from their personal choices from the list of wide range of restaurants as they opt to. Hungrynaki.com is a 100% Bangladeshi Online Food Ordering and Delivery Service launched in 2013 to deliver consumers cravings at their doorsteps. Hungrynaki is passionate about food and having its services in five megacities with more than 1500 most popular restaurants and 450+ delivery support team to render its service among the consumers in these megacities.